This is a question that most new drivers on the road probably don’t know. When you take your driving test you asked two ‘Show me, Tell me questions‘. However, none of the questions include anything to do with your service light coming on or how you can tell your car requires a car service. A car service is vital if you want your beloved car to look after you in the long run. Now, depending on your car and it’s age will determine how you can identify it needs a car service. 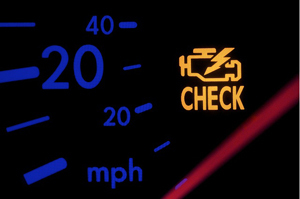 If you have an older vehicle, the engine management light usually may come on. This is an amber light. However, it can mean many things, one of them being you need to service your car. Any time this light comes on, you should take your car to a local mechanic immediately. It may be something nice and simple like a car service is due or something serious. The other way you can tell when you should service your car is by keeping an eye on the vehicle service book. Every car should have one. This is where a car garage would fill in or stamp any serious repairs/maintenance taken out on the car like a cam belt change. Also, any sevicing taken our is logged in here too, be it a small service or a big service. If you have a modern car, then you have less to remember as most cars built in the last 5 years will inform you via the dashboard when a service is due. Some often telling you by days or miles. If you have done a lot of miles in your car, but not had it long then your service may be due sooner and the warning would appear by miles. How often does your car need to be serviced ? You should have your car serviced every 12 months or 12,00 miles, whichever one comes up first. If you car is brand new then you should expect your first service after 1 year of purchasing it. You will usually have an small service on year 1 and then a full service on year 2, however, this may vary slightly depending on the make and model of car. We spoke to a driving instructor in Maidstone from driveJohnson’s who teaches many polish people to drive and he said “People who are new to the UK and speak very little english are probably the most guilty of not servicing their cars. They often don’t understand the manuals and just ignore the service light until it’s too late, which is the worst thing you can do”. 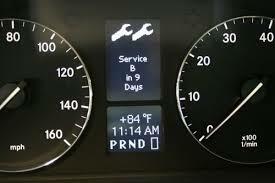 So, if you want your car to serve you well and for a long time don’t ignore that service light !